Combine butter and brown sugar; spread evenly into two greased 9-inch round cake pans. Arrange pineapple slices, cherries, and pecans on top. Prepare cake mix according to directions. Pour batter into pans; bake at 350ºF for 30 to 40 mins or until wooden pick inserted in center comes out clean. Remove immediately from pans, and cool completely on wire racks. To make frosting, combine butter and brown sugar in a medium saucepan. Bring to a boil, stirring constantly. Cook 2 minutes. Add milk; return to a boil. Remove from heat; let stand 5 minutes. Add powdered sugar to mixture, beating until smooth. Stack layers, pineapple side up, on serving plate. Spread warm caramel frosting on sides of cake. 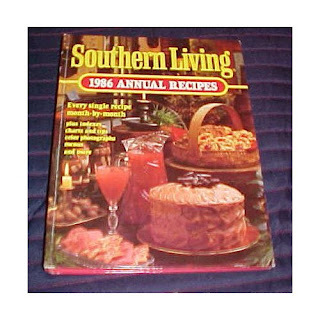 This recipe is from Southern Living 1986 Annual Recipes, (Birmingham: Oxmoor House, Inc), 239.